The Institute on the Environment is accepting applications for the next cohort of IonE Educators! Apply now! To incubate and encourage innovative teaching in sustainability and environmental education, IonE will recognize three to six educators per year. As individuals and a cohort group, these educators will advance best practices in sustainability instruction and curriculum development, and disseminate those innovations to the broader university and Minnesota community. IonE Educators are tenure-track faculty and instructional staff, including adjunct faculty (IonE Educators may or may not already be an IonE Fellow or Associate.) who have a special interest in effective pedagogy and curriculum development. IonE Educators are regularly engaged in formal and informal teaching. The cohort meets throughout their 15-month fellowship term to learn from each other and collaborate. During the 15-month fellowship, IonE Educators will pursue projects around effective pedagogy and curriculum development. The program is constructed around individual focal projects, cohort community, and collective action. Focal projects have included improving current courses, creating new courses, constructing certificates or programs, and designing tools for educators to use for teaching sustainability. Projects may address education for the general public or Pre-K-12 students. All projects will champion the need for diverse perspectives in solving today’s wicked and complex sustainability challenges. Educators are immersed in cohort and broader IonE community throughout their fellowship. This immersion brings faculty and staff together from across disciplines and campuses, catalyzing novel insights into sustainability education. Over time, alumni of the IonE Educators will form a dynamic community of educators who are united by shared objectives and benefit from inter-cohort communication fostered by the Affiliates network. IonE Educators cohort have the option to design and implement a collective action around teaching sustainability if desired. The initial cohort of IonE Educators 2016-17 developed the concept of a systemwide conversation focused on generating greater collaboration and reflexive thinking in matters concerning sustainability education. 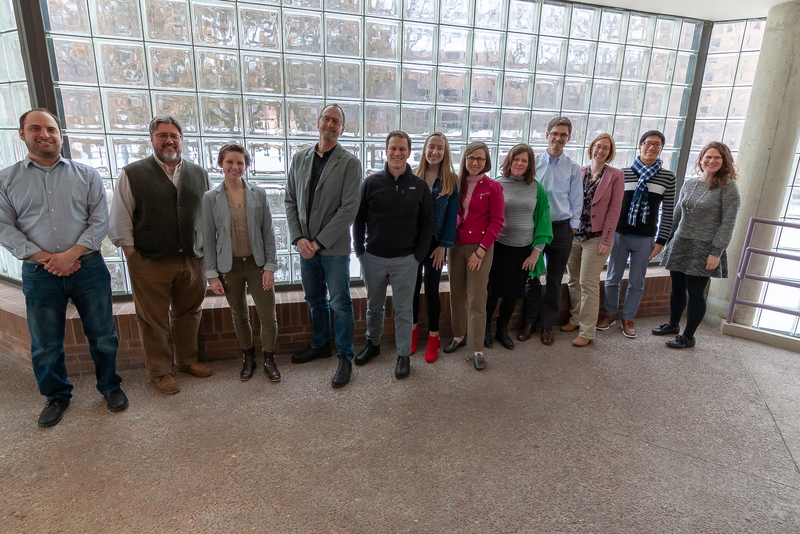 The second Educators cohort furthered the Educator’s mission to advance innovative pedagogy and expand the sustainability community by hosting a multimedia, interactive, online Sustainability Education Summit on February 1st, 2019 that reached all of the University of Minnesota campuses as well as online participants in over 20 different states and 3 countries! These Summits created avenues for disseminating the Educators’ innovations, and fostered connection and conversation amid the sustainability community. In addition to the benefits and responsibilities of all IonE Affiliates, IonE Educators will have access to a graduate research assistant who will help them in their focal project and receive counsel from IonE staff in the development and implementation of their focal project. The application for the next, fourth cohort of IonE Educators is now open and will close on May 31st, 2019. To apply please email your application materials to ioneaffiliates@umn.edu. Selection of the next cohort will be announced in June 2019. 2) Cover letter describing their environmental or sustainability education experiences; and goals and a description of the educational project or activity they seek to advance during their fellowship year. Selection will be based on the potential for the proposed project to significantly advance sustainability education within and outside of the University of Minnesota system. IonE Educators are recommended by the Faculty Leadership Council with assistance from ad hoc reviewers and IonE staff. Consultation with IonE education/leadership staff about possible projects is strongly encouraged before submitting an application. Read about the first two cohorts of IonE Educators here. We will use the seven questions below to evaluate applications from prospective IonE Educators. Other factors also will be taken into account to ensure diverse representation in terms of disciplines, perspectives, objectives and backgrounds. Applicants’ experience in teaching or in sustainability-related fields will be considered as well. Applicants should note in their application letter if there are funding needs beyond the graduate student assistant’s time and, if so, what resources have been identified to fund those additional costs. We request that applicants obtain the support of the appropriate departmental representative. If an applicant proposes the development of a new course as the focal project, we understand that the departmental representative’s support is not equivalent to the approval of the course. How does the proposed focal project represent an important innovation or address an existing gap in established teaching? Why is this important? How will the proposed project benefit University of Minnesota students or K–12 students in Minnesota, and if relevant, research in sustainability education? How does the proposed project champion the need for multiple perspectives in solving complex sustainability challenges? Can the proposed project be completed in one academic year? What specific research and support will the proposed project require? How might the assigned graduate research assistant contribute to the completion of the project? How would the proposed project benefit from being affiliated with IonE? What potential does the proposed project have for impact beyond the duration of the formal affiliation with IonE? Q: Are non-tenure-track teaching professionals eligible to apply? A: Yes. IonE Educators have teaching as a core part of their professional work. We encourage applications from those who have both a history of teaching and ongoing plans to teach. Q: Does the IonE Educator program offer funding beyond the graduate student’s assistance on the focal project? A: No. However, IonE Educators may pursue other grants, such as IonE Mini Grants. Q: Are applicants who are informal educators working in Extension, Outreach Centers, or environmental education eligible? A: Yes, as long as the criteria above are met. Q: Does the focal project need to have a research question and goals, such as publication? A: Since education is the primary focus of the IonE Educators, research is not expected or required. However, education research may be part of a focal project. Questions can be directed to Beth Mercer-Taylor or Mary Hannemann in Sustainability Education.